The Kide Foundation is an independent foundation that supports those individuals and groups that are in the most vulnerable position in society. It creates solutions for situations in which people find themselves needing help for one reason or another. The Kide Foundation co-operates with different partners to strengthen the conditions that facilitate dignified lives, encourage participation and promote social responsibility and social justice. The foundation supports and carries out projects that provide opportunities for housing, work, education and hobbies, and that serve to advance services, research and technical solutions. It participates in social debate as a means of promoting the objectives of the foundation and also provides grants and assistance. The foundation employs 12 full-time employees, ten of whom are involved in the Meaningful Work project. Members of the foundation’s Board of Trustees also participate in the operational activities of the foundation. Employees: Minna Nummi, Service Manager; Tarja Arkio, Executive Director; Marianne Winter, Chief Administrative Officer; Pekka Tuomola, Chief Physician. Board of Trustees: Risto Räikkönen, Ulpu Iivari (Vice Chair of the Board), Liisa Rumpunen, Emma Aronen, Paavo Voutilainen (Chair of the Board). The foundation was established in 2016 by Paavo Voutilainen, Chair of the Board. It was established with the support of Barona Group. 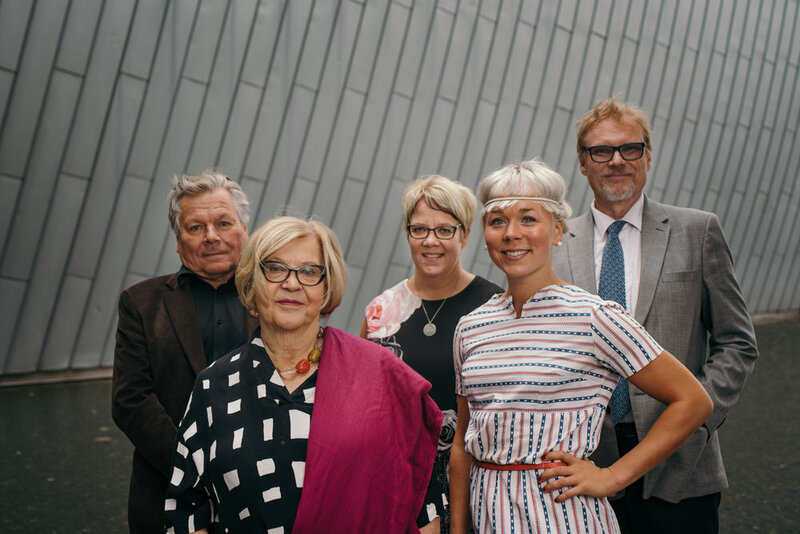 Projects are financed in co-operation with different actors, including Lassila & Tikanoja Oyj and the Antti and Tytti Penttilä Fund and the City of Helsinki. The aim of the two-year Meaningful Work project (Mielekäs työ), organised by Lassila & Tikanoja Oyj and the Kide Foundation, is to discover a new way to help those in weak labour market positions to return to work. The project also aims to prevent the risk of early retirement due to reduced work ability and to minimise the costs related to early retirement, as accrued by the employer. Challenging situations in life and feelings of exclusion and hopelessness make young people vulnerable to the influence of extremist movements. The Hope for the Future project (Toivoa Tulevaisuuteen) was launched to prevent this type of progression and to strengthen young people’s trust and inclusion in society. The project offers young people help and activities, such as hobbies, housing, software development training, job-seeking training and employment opportunities. The Kide Foundation wants to support young people’s entry into working life by offering them high-quality software development training. The labour market currently shows a shortage of software developers, or coders, which means that employment prospects in this field are excellent. The Kide Foundation funded the start-up of Integrify Oy, which currently provides training for five young people who are involved in the operations of the foundation. The Power for Life (Voimaa elämään) project introduces karate, a martial art that emphasises control over one’s body and mind, as a tool to help support children suffering from post-traumatic and neuropsychiatric symptoms. In addition to weekly training, the foundation also organises summer camps. The project is organised in co-operation with Tapanilan Eran Karate club, the City of Vantaa and the Psychotraumatological Centre of Helsinki Deaconess Institute. The aim of the project (Polku omaan elämään, POE) is to help secondary school students to build a meaningful life that reflects their own individuality. The Kide Foundation and its partners will develop a novel concept for the work practice program (TET) required for secondary school students in Finland. The project is implemented through funding from the Antti and Tytti Penttilä Fund. Project partners include Economic Information Office TAT, Positiivinen CV Finland Oy, Mindustry Oy and Aatos Klinikka. Women play a significant role in families and communities as conveyors of information and skills, and promoters of their family’s well-being. The aim of the project (Naiset ja tytöt luottamusta rakentamassa) is to build trust between authorities and families in difficult life situations, and to support dialogue between young people and their parents. The project encourages and assists women with immigrant backgrounds to increase their expertise and their involvement in preventing violent radicalisation. The project is carried out in co-operation with Finn Church Aid and it offers women activities, such as cooking courses organised by the Martha Organisation. Since 2017, the Kide Foundation has walked alongside a hurdler who came to Finland as an asylum seeker from Iraq, where his career had been interrupted by traumatic experiences and a dangerous escape journey. His athletic career has since developed at a promising trajectory, and his integration into Finnish society has been successful. We wish to use his story to raise hope and to provide a positive example for the current social debate regarding asylum seekers.